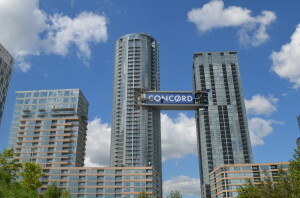 The CityPlace Skybridge consists of a 328 ton, 40 meter long (130 ft), 2 storey bridge that links the two Parade condominium towers at Concord CityPlace in downtown Toronto. Each end of the bridge consists of a joint; one if straight and the other curved. Both of the joints conform to the shape of each connecting tower. 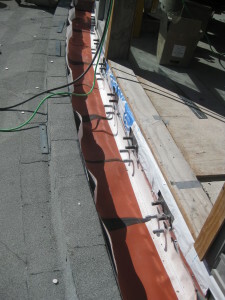 SITURA Waterproof Expansion Joints are designed to conform to the unique shape of each connection end and provide building envelope continuity, which accommodating significant horizontal and shear movements. 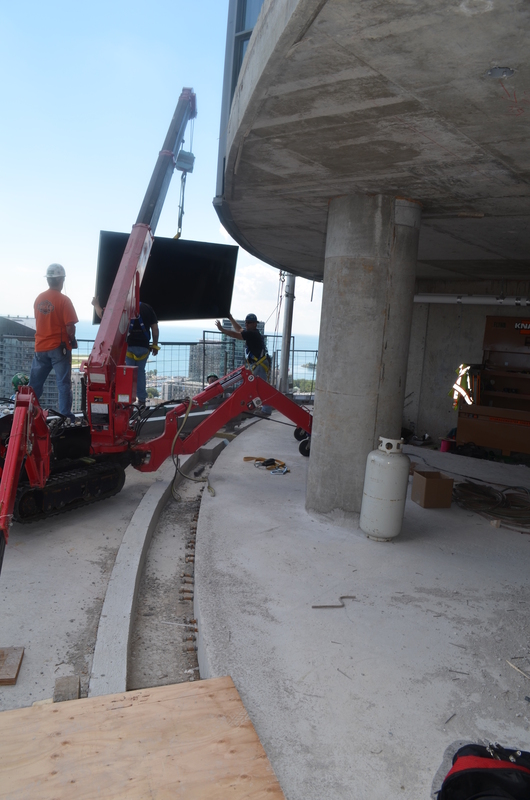 The relative movements that arise from thermal and wind loads are in excess of 200 mm (8 inches). SITURA’s RedLINE® Waterproof Expansion Joints were installed 30 storeys above the ground from single prefabricated joint runs and they were manufactured to conform to the curvature and detailing of each of the joints. 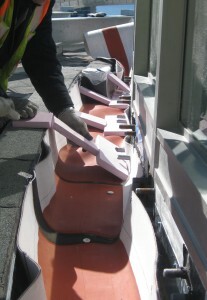 The RedLINE® was encapsulated in a high tensile strength epoxy resin, to ensure fixation and rigidity. The completed CityPlace Skybridge is a landmark feature of the Concord Place Development. The installed SITURA Waterproof Expansion Joints will ensure that the bridge connections remain watertight while allowing for relative movement between the bridge and the condominium towers over years to come.